Let's rock and roll! 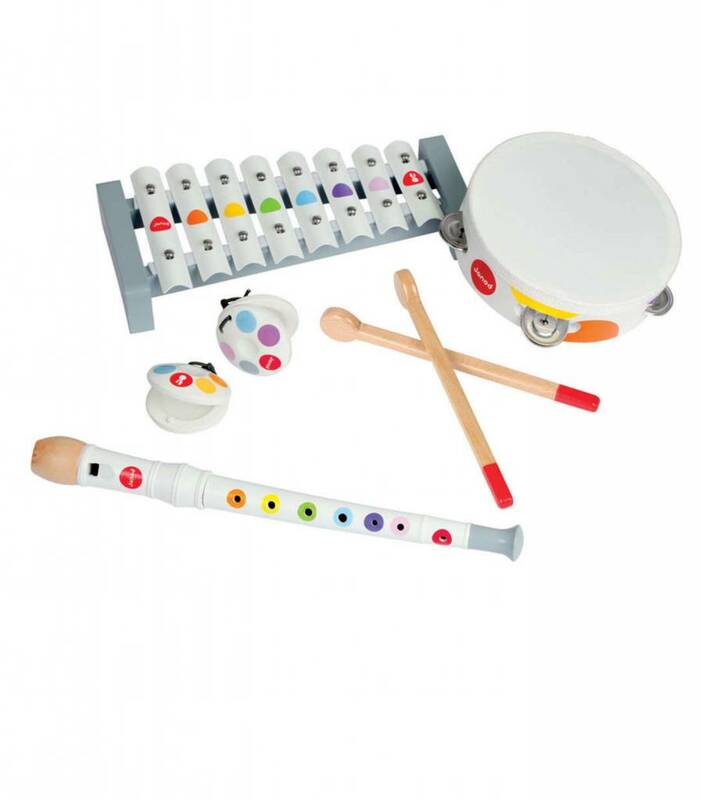 A colorful set of instruments for budding musicians. 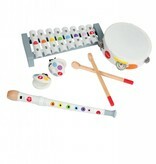 Includes a metal xylophone, 2 drum sticks, a tambourine, 2 castanets, and a recorder. 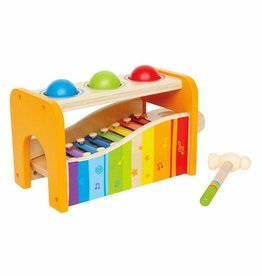 Tap the balls and watch them roll down a xylophone.